Gerhard Michael Raupp. Courtesy of Raupp Memorial Museum, Buffalo Grove, Illinois. [S11] John J. Weidner, Compiled Birth, Death, 410. [S159] Arlington Heights Herald, 19 Jun 1958, p. 20, col. 3. [S11] John J. Weidner, Compiled Birth, Death, 410 date only. [S350] Daily Herald, The, 07 Aug 1981, sect. 4, p. 12, cols. 1-2, date and location. 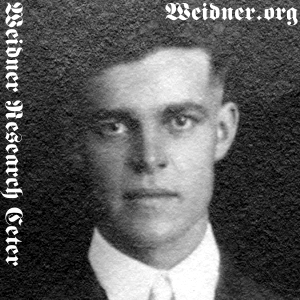 [S11] John J. Weidner, Compiled Birth, Death, 410 date and partial name of cemetery. [S350] Daily Herald, The, 07 Aug 1981, sect. 4, p. 12, cols. 1-2, date and location only. [S350] Daily Herald, The, 07 Aug 1981, sect. 4, p. 12, cols. 1-2.